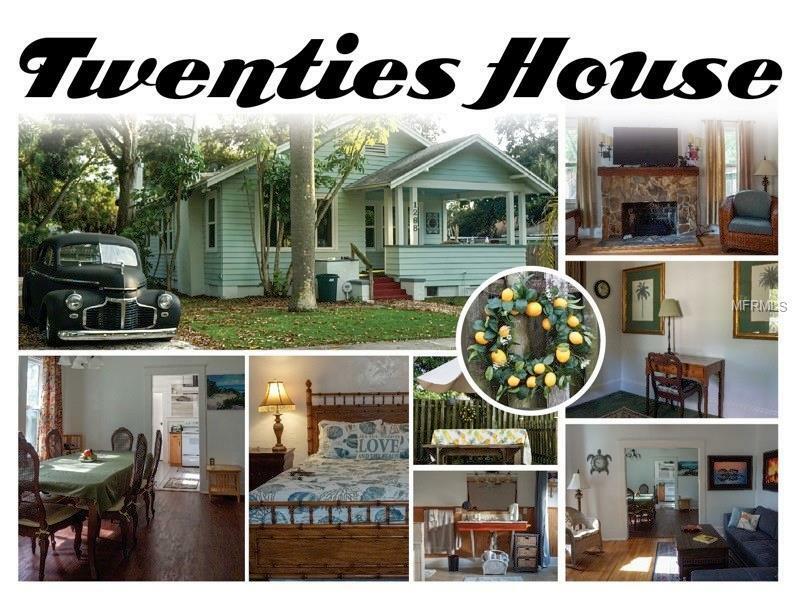 Vintage 1920's 3 bedroom home located close to downtown Sarasota, Marina Jack's, St Armand's Circle and Lido Beach. 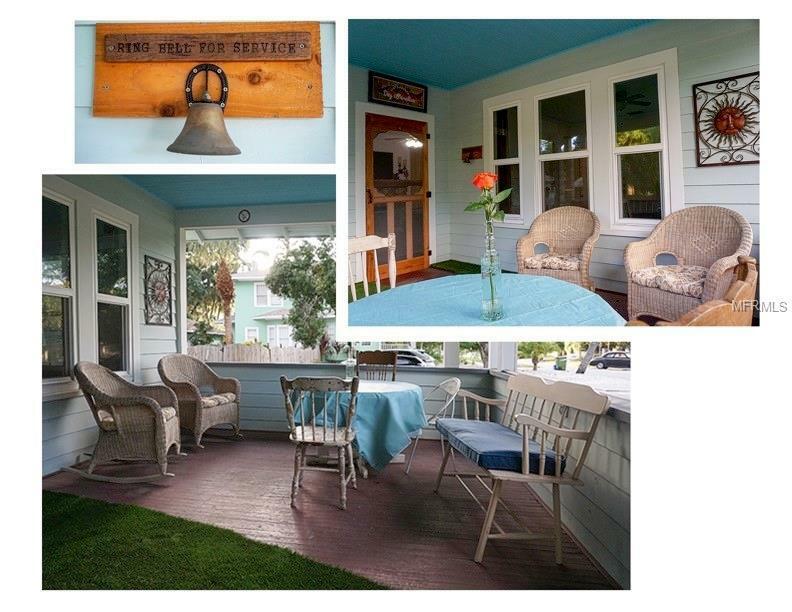 This Florida Cottage style home features a front porch with wicker rocking chairs a small table and chairs and a bench for extra seating. 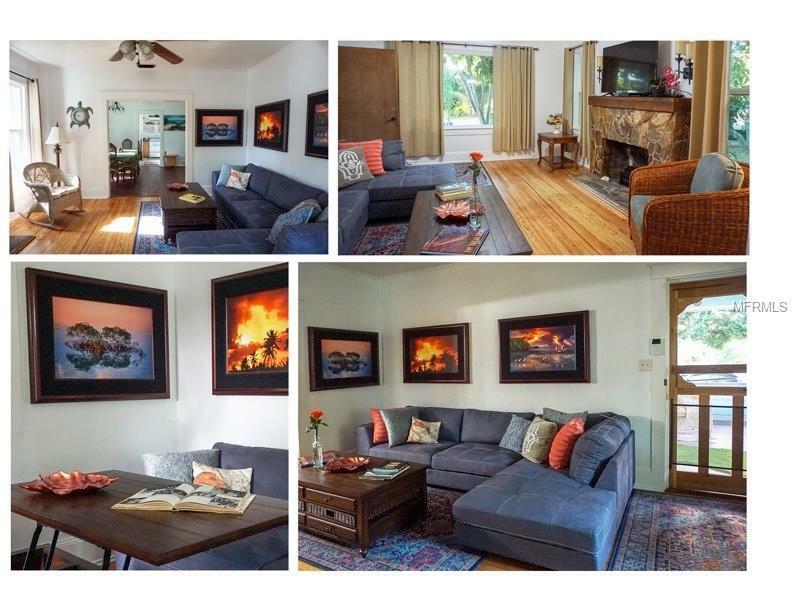 The spacious living room has beautiful wood floors, a decorative stone fireplace, cozy couch and flat screen TV. The wood floors carry through to the formal dining room with family style table that seats 6-8 comfortably. The vintage style kitchen boast plenty of space and large windows providing natural lighting, a range/stove, refrigerator, dishwasher, microwave and food pantry. The master suite has a Queen bed, TV and large on suite bathroom with a jacuzzi tub. 2nd bedroom has a Queen bed, chest drawers and desk. 3rd bedroom has a twin trundle bed. Guest bathroom features a pedestal sink and walk in shower. Just off the kitchen is a utility room with washer and dryer. The large back yard has a picnic table for outdoor eating. There is private drive space for your car." Listing provided courtesy of Palm Realty Services Llc.